Invisible pollutants lurk under Italy’s most populous valley. 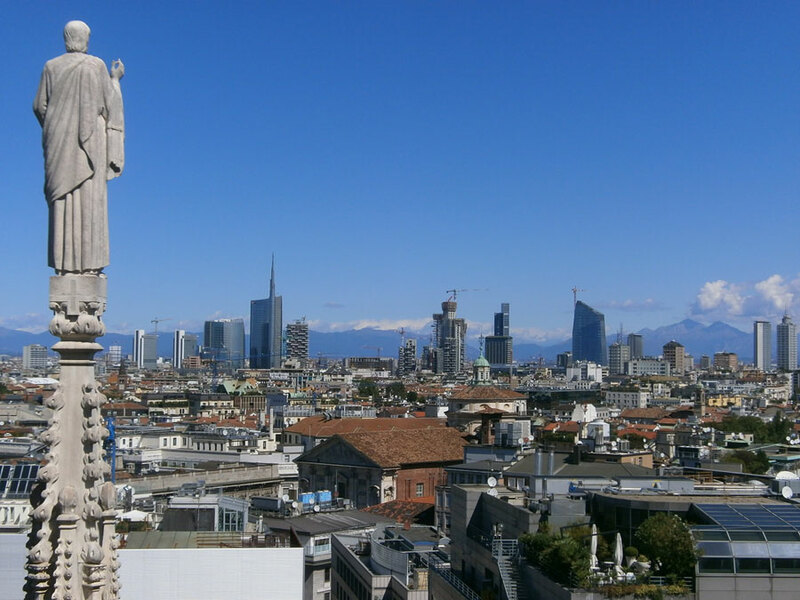 In Milan, 135 spires and pinnacles of the medieval Duomo di Milano pierce the sky. So do numerous skyscrapers that have sprouted around the cathedral in the last fifty years. 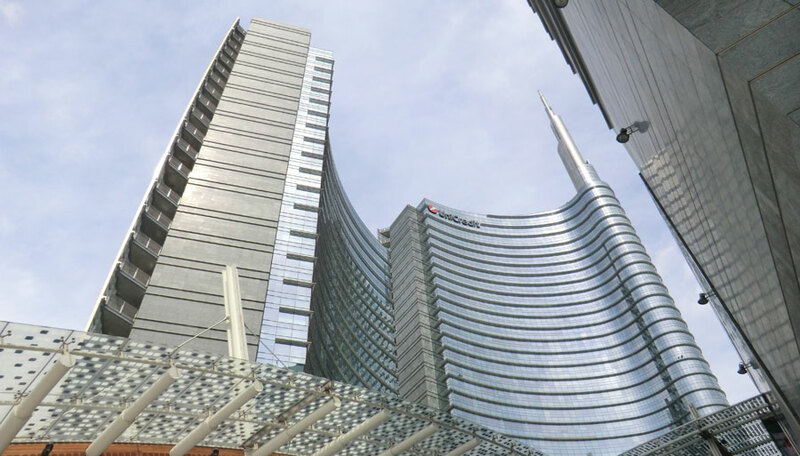 Wealth from this financial and industrial powerhouse has expanded the city upwards and outwards, sprouting satellite towns in the surrounding Po Valley in northern Italy. But where there are buildings, there are people. And where there are people, there is sewage. Waste from Milan’s 1.3 million population is shunted beneath cobblestone streets, through underground pipes, and into treatment plants. The pipes can leak and contaminate aquifers—underground layers of rock or soil that hold groundwater and supply drinking water to millions of people. Masetti and his colleagues are trying to find where the contaminants come from. Do these come from burgeoning cities like Milan? Or do these come from the Po Valley countryside, where manure and fertilizer can seep into groundwater? Nitrate (NO3) is a chemical compound found in decomposing organic material like manure, plants, and human feces. Natural nitrate levels in aquifers are generally low, but human activities cause them to rise. Farmers could raise levels, for example, when they cultivate in areas where the soil layer is thin or when they over fertilize their crops. City dwellers also raise nitrate levels just by living and working where they are. So nitrate groundwater pollution can happen anywhere in Po Valley, a 18,000-square mile stretch of land in northern Italy that is home to a third of the country’s population and is among the most heavily cultivated lands in Europe. But how to track something you cannot even see? First, Stevenazzi and her colleagues needed to know what kind of rock and soil layers the nitrate would be moving through underneath Po Valley. They looked at core data from well drillings along extensive transects from a few miles north of Milan to just south of the Po River. With these, they reconstructed the valley’s geological layers, which revealed how quickly or slowly nitrate could soak down into aquifers. It also told them where the aquifers were shallow or deep, and protected or unprotected. The researchers used the data to find out where nitrate contamination likely happens and where future contamination could occur. Next, they had to find how much nitrate was already present in different parts of the valley. The researchers found nitrate concentration data from the region’s environmental agency, which samples water from 221 wells uniformly distributed in the shallow aquifer of the study area. 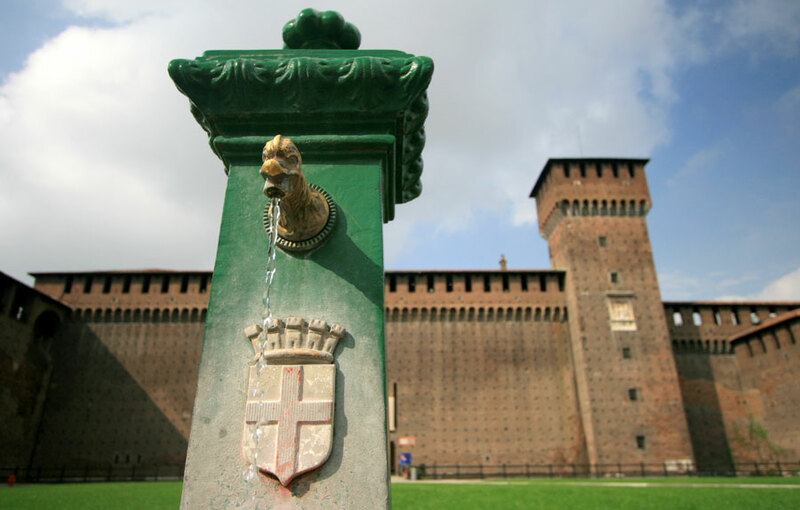 The well water, sampled every six months from 2001 to 2011, showed an increasing trend in nitrate groundwater contamination in the northern half of the valley, where the sprawling city of Milan is located, and a decreasing trend in the southern half, which was more rural. For this, they turned to NASA scientist Son V. Nghiem. Nghiem had developed a novel method to use data from the SeaWinds scatterometer, flying on NASA's Quick Scatterometer (QuikSCAT) satellite, as a proxy for changes in urban landscapes. Scientists mostly use SeaWinds to measure ocean wind speed and direction. The sensor transmits microwave pulses to Earth’s surface, then measures the power reflected back to the instrument. This backscattered power indicates the ocean surface’s roughness, which in turn relates to near-surface wind speed and direction. Nghiem’s QuikSCAT-Dense Sampling Method (DSM) would allow Masetti and Stevenazzi to train SeaWinds on land instead. The method detects various urban changes—skyscrapers sprouting, suburbs expanding, factories being torn down and malls built in their stead—even in areas where urban growth occurred at a relatively low rate. When Masetti and Stevenazzi applied DSM to SeaWinds data over Po Valley for the years 2000 to 2009, the results showed that most of the urban changes clustered around the north and northwest where cities and industries are concentrated. They found few changes in the southern area, which consisted mostly of agricultural fields. When they compared the DSM data to the well data they had earlier acquired, they saw a clear, direct relationship between urban changes and nitrate contamination trends. The researchers went a step further and used the DSM data and the geological data they had collected earlier to generate a groundwater vulnerability map. The map shows areas in the Po Valley that are vulnerable to groundwater nitrate contamination. The degree of vulnerability depends on natural factors like groundwater depth and groundwater velocity, and man-made factors like the growth of urban areas. Urban areas that grow quickly, for example, are vulnerable. Regions that have deep groundwater are also vulnerable, because nitrate tends to not degrade when it flows through sediments above a deep water table. To Nghiem, the map challenges the use of population data to represent urbanization. “The old idea is that population is where you register your home and where you sleep,” Nghiem said. Indeed, census data showed that growing cities experience decreasing population density, while the surrounding small towns experience increasing population density. “People may work in Milan but they live in the outskirts where homes are less expensive and there is less pollution,” Nghiem said. However, the well data and DSM data showed that nitrate contamination increases in areas of rapid urban development. That would be in the Milan urban center, and not in the suburbs where people live. “If we had stuck with the census data, we might have represented the wrong trend,” Nghiem said. Regional officials have been communicating with Masetti’s team and have been anticipating such a map. It could guide land use planners when deciding whether or not to transform rural land to industrial or commercial land. For example, if the map marks an area as extremely vulnerable, then the cost to the community’s groundwater quality might outweigh projected economic benefits. It can also tell water resource managers which aquifers need more or less protection. JPL QuikSCAT Project. 2006. SeaWinds on QuikSCAT Level 2A Surface Flagged Sigma0 and Attenuations in 25Km Swath Grid Version 2. Ver. 2. PO.DAAC, CA, USA. doi:10.5067/QSX25-L2A02. Masetti, M., S. V. Nghiem, A. Sorichetta, S. Stevenazzi, P. Fabbri, M. Pola, M. Filippini, and G. R. Brakenridge. 2015. Urbanization Affects Air and Water in Italy’s Po Plain. EOS 96(21): 13–16. doi:10.1029/2015EO037575. Nghiem S. V., D. Balk, E. Rodriguez, G. Neumann, A. Sorichetta, C. Small, and C. D. Elvidge. 2009. 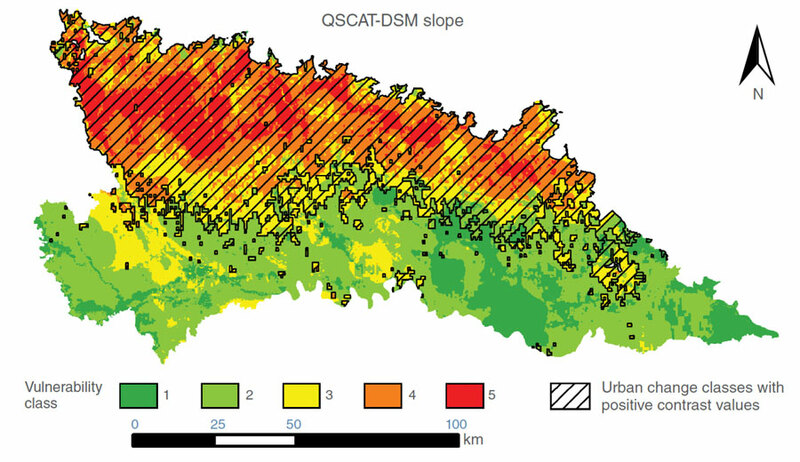 Observations of urban and suburban environments with global satellite scatterometer data. ISPRS Journal of Photogrammetry and Remote Sensing 64(4): 367–380. doi:10.1016/j.isprsjprs.2009.01.004. Stevenazzi, S., M. Masetti, S. V. Nghiem, and A. Sorichetta. 2015. Groundwater vulnerability maps derived from a time-dependent method using satellite scatterometer data. Hydrogeology Journal 23: 631–647. doi:10.1007/s10040-015-1236-3.